Hasbro signs multi-year deal with Netflix! I love streaming Netflix to my TV via my Xbox 360. In fact, I love it so much that I ditched cable over a year ago and replaced it with Netflix and a HD antenna. However, there have been times when I wish that the streaming library had just a bit more content. Well, thanks to a multi-year deal between Hasbro and Netflix, the future is a bit brighter! Hasbro Studios, the Los Angeles-based television production and distribution division of Hasbro, Inc. (NASDAQ: HAS), today announced a multi-year deal with Netflix, Inc. (NASDAQ: NFLX). Ten highly popular franchises, including new and catalog seasons of famed Hasbro content, will be available to instantly watch on Netflix. Transformers Prime, My Little Pony, Pound Puppies, G.I. 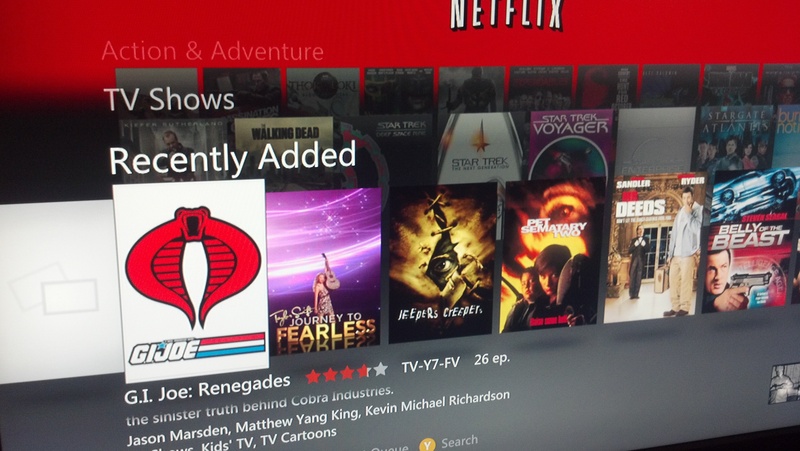 Joe: Renegades and The Adventures of Chuck & Friends are now available to instantly watch on Netflix. JEM & The Holograms, Transformers: Generation 1, G.I. Joe: A Real American Hero, Transformers: Beast Wars and Transformers: Rescue Bots will follow later in 2012. The Hasbro content will be available on Netflix and included in the Netflix “Just For Kids” section. Netflix “Just For Kids” is a collection of TV shows and movies that is specifically selected for children 12 and under, making it easier and more fun for kids and families to browse and instantly watch a large selection of kid-friendly TV shows and movies within Netflix. My girlfriend and I have already been enjoying Renegades via the streaming service (She’s a huge Snake Eyes fan now) and I managed to check out Transformers: Prime last night. With the promise of even more Joe-related content in the future, Netflix has secured my loyalty for the foreseeable future. Sometimes, Netflix can throw users a curve ball… like today when a very familiar series landed in my queue! Until the first volume hits DVD in June, fans of the series can stream all 26 episodes in glorious HD quality! C’mon Hasbro… would it kill you to give us a season 2? FINALLY! 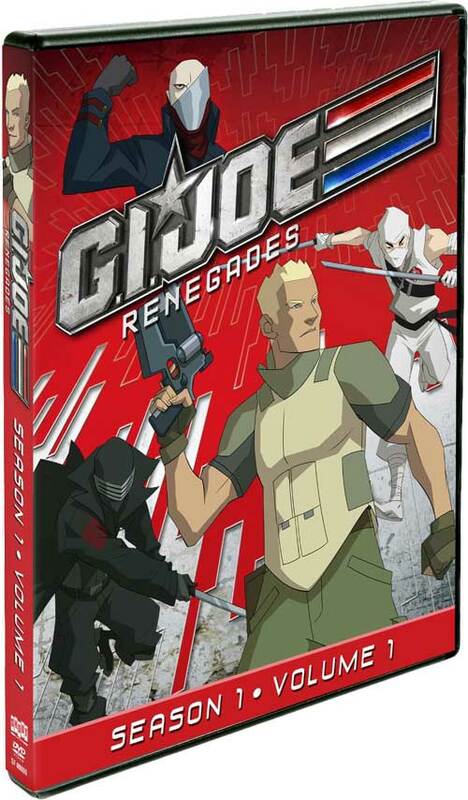 Seriously– despite solid ratings, Renegades was treated like the unwanted step-brother of Transformers by Hasbro and the Hub. However, thanks to Shout Factory fans can at least enjoy the first part of the season on DVD.